In Pink!, by Lynn Richards, we meet Patrick, a little penguin who wakes up one morning and realizes his world has been turned upside down. He’s turned pink, you see, in a world of black-and-white penguins. No one can explain why he’s turned pink and he becomes painfully aware that he no longer fits in. Patrick sets off to find flamingos in Africa, in the hope that their common pink-ness will unite them but to no avail; he doesn’t fit in there either. He goes back home and shows his friends that even though he looks different, he’s still the same penguin he was before. I think this is a message worth repeating. Changes can be hard but being different doesn’t have to be. In Patulous The Different Caterpillar, by A. Volta, we’re introduced to a cute caterpillar that isn’t as cute as his friends. Patulous, as the title says, is different and his caterpillar friends reject him. In his sadness, he wanders around to a new neighborhood and becomes friends with a snail, a ladybug and a grasshopper. His new friends love him for who he is, not for how he looks. I won’t give away the ending, but it all works out in the end and we’re left with a warm story about the value of friendship and the importance of being kind to one another. 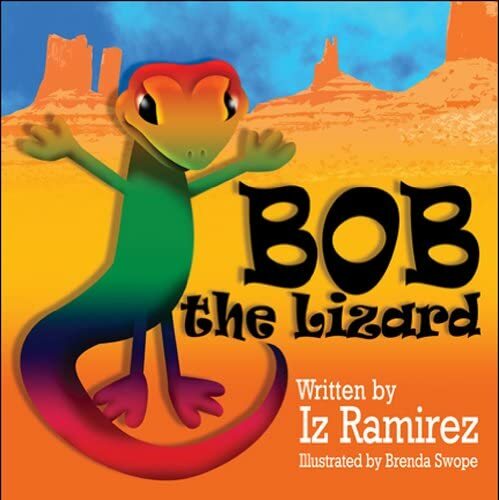 In Bob the Lizard, by Iz Ramirez, Bob is on the quest to find friends. As he goes about the desert looking for friends he finds himself wishing he could fly like a hummingbird or run fast like a roadrunner or live underground like a prairie dog, but he can’t do any of those things. All he can do is be himself and the friends he makes love him for it. This tale, based on Native American storytelling, touches the reader with its simple but heartfelt message: we’re all different in our own ways and this is a beautiful thing. The colorful illustrations bring home the message. So glad I’m a subscriber so I could read this right away. This is a great post! I can’t wait to read about Bob the lizard and the Pink! penguin. Just today, I posted a few of my back to school favorite books on dealing with teasing, separation anxiety, and doing your own thing on http://www.imaginationsoup.net. Thanks, Melissa! Can’t wait to check our your site!